There can be several reasons you may want to install a GFCI outlet—maybe it's worn out, physically damaged, or maybe you just want a new one. Like any other outlet, GFCI outlets will wear out eventually. Kitchen outlets often have small appliances repeated plugged into them and then removed after use. Has constant use worn out the springs that keep the plug tight? Has something damaged the outlet? Grease from the range, striking one in the garage, or filling one outside with water too many times? Or do you just want an additional outlet? Maybe one to power a new freezer in the garage? Whatever the reason, there are a variety of things to consider before wiring in a new GFCI, and it will pay to take a look at them before starting the project. Where Should GFCI Outlets Be Used? Non-livable areas such as a garage or attic. Outdoor areas; the outlet required near the door must be a GFCI. Anyplace within 6 feet of a water source or sink. Kitchen counter tops, bathrooms or near a hot tub for instance. Service outlets near equipment. An outlet, for instance, near a furnace and intended for use by servicemen must be GFCI protected. These will usually, but not always, fall under one of the other categories as well. It is often not a good idea to install a GFCI when the intended purpose is to operate a motor driven appliance as motors will occasionally trip the ground fault protection. A freezer in a garage, for example, may trip the GFI but may not be found for days or until food has thawed and been destroyed. Another place might be under the kitchen sink; that is within 6 feet of the sink but a garbage disposal or dishwasher may cause nuisance tripping. Some electrical inspectors or locations may allow exceptions, usually by requiring that a "simplex" outlet, one with just one place to plug into, is used, but not all will. If you want an exception you should check with your city building department. What Type of GFCI Should I Buy? While there is a range of colors available for GFCI outlets it won't make any difference which color you choose. Much more important is the ampacity of the outlet. These outlets are available in two different ampacities; 15 amp and 20 amp. In general, any outdoor, garage or kitchen circuit is probably a 20 amp circuit, while older homes probably have a 15 amp circuit in the bathroom. Newer homes are now required to have a 20 amp circuit there as well. The key, then, is to match the ampacity of the outlet with that of the circuit. Locate the breaker or fuse feeding that circuit by turning them off until the circuit to be used goes dead and note the figure on the fuse or breaker handle. The new GFCI outlet must be matched to that number; a 15 amp circuit must have a 15 amp outlet while a 20 amp circuit must have a 20 amp outlet. GFCI outlets normally come with a cover plate, so an additional purchase of the proper cover plate isn't necessary. In the two possibilities shown below, notice the shape of the straight slots: the 20 amp outlet has a "T" shaped slot on one side. 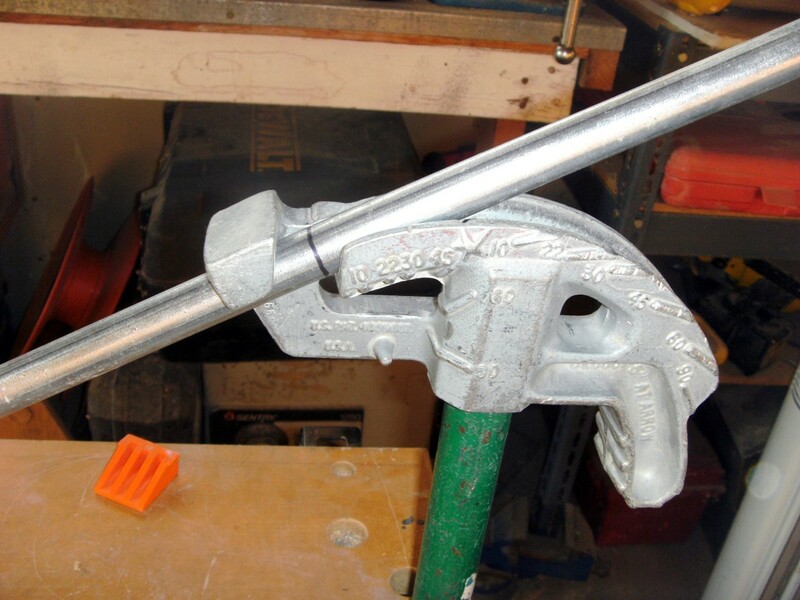 These safety tools are easy to use, inexpensive, and are a necessity for electrical jobs. 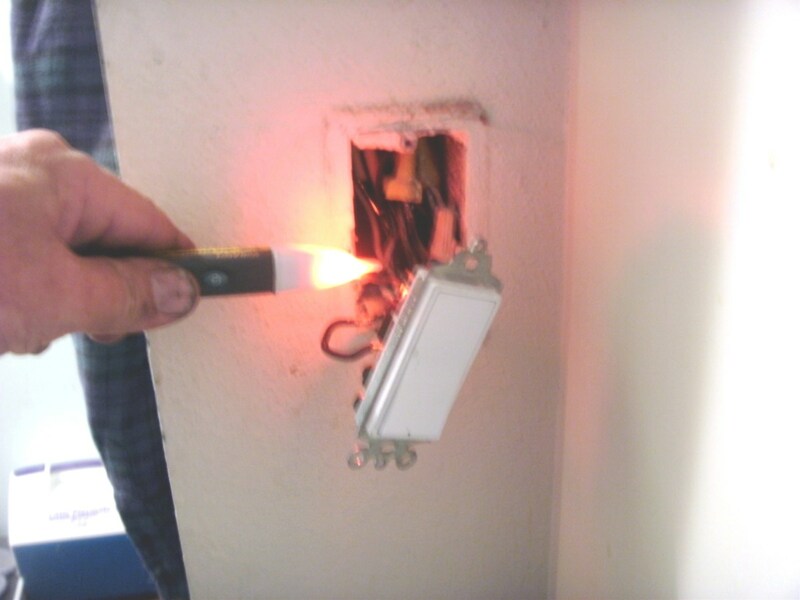 As a professional electrician, I have one in my pocket any time I'm on the job. Safety first is the motto here, even more than in most projects. Turning the power off is necessary, but so is double-checking that it did turn off. Consider purchasing and using one of these nifty tools—they are worth their weight in gold. 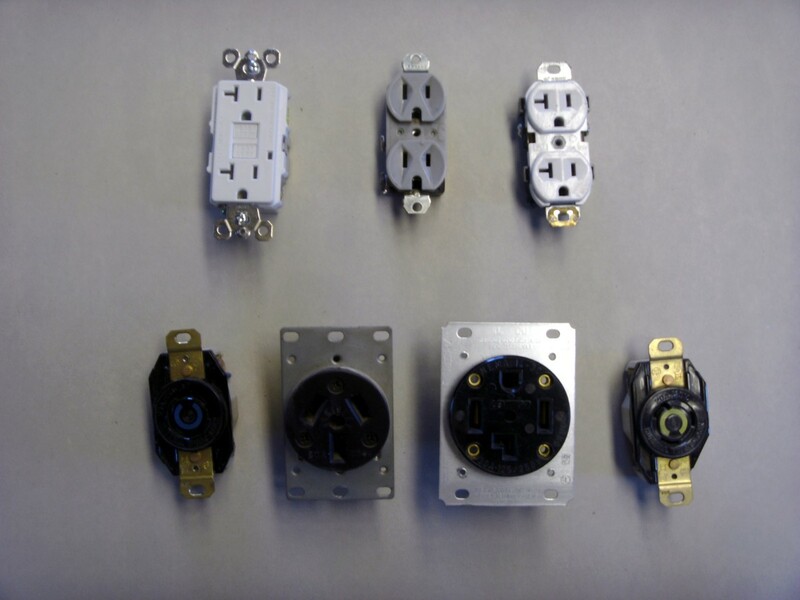 Before beginning to wire your outlet, you will need to decide whether it is to protect any "downstream" outlets that may have been installed previously. Any electrical circuit begins at the panel box, goes to the first device or outlet and from there to others. 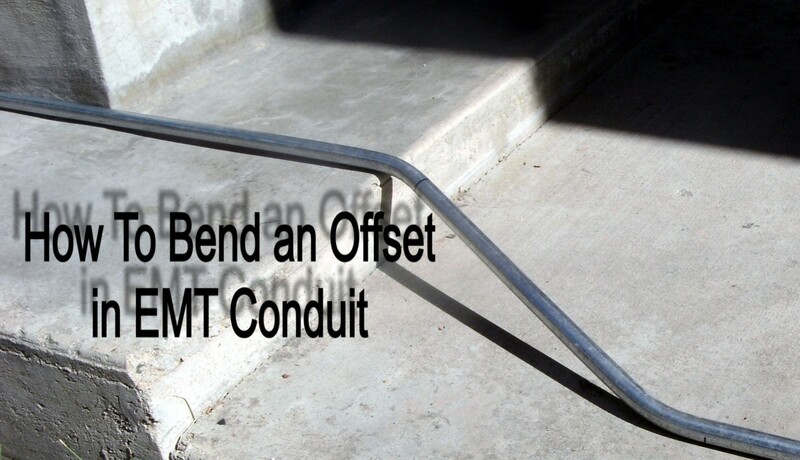 Those that are electrically further away from the panel are termed "downstream" and can be protected from ground faults by any GFCI outlet that is "upstream" from them. The first step is to turn off the power and, if possible, test it with a voltmeter or a non-contact voltage detector. 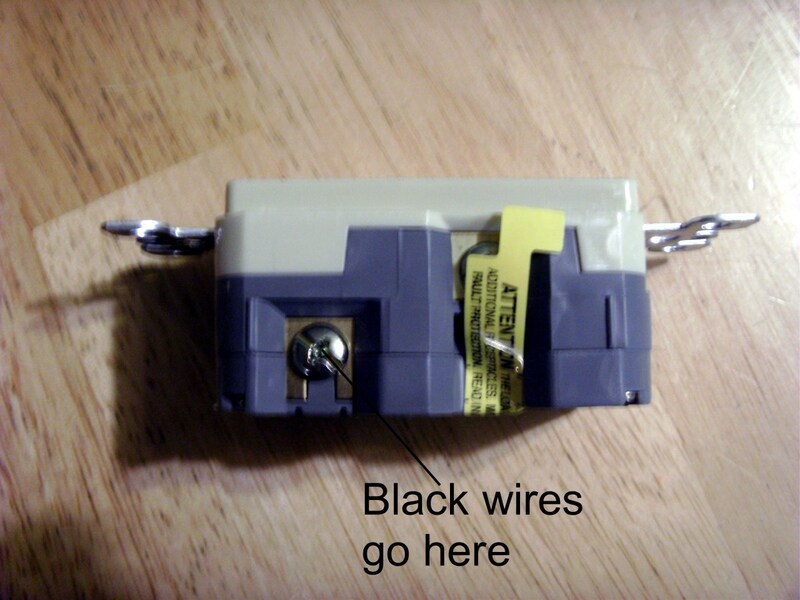 If you don't want to protect downstream outlets (maybe it's a freezer outlet) then all the wires in the box will need to be spliced together with a "pigtail" to the outlet. Splice all the black wires together, including a 6 inch piece (of the same wire size! ), all the white wires the same way and lastly all the bare, ground, wires. 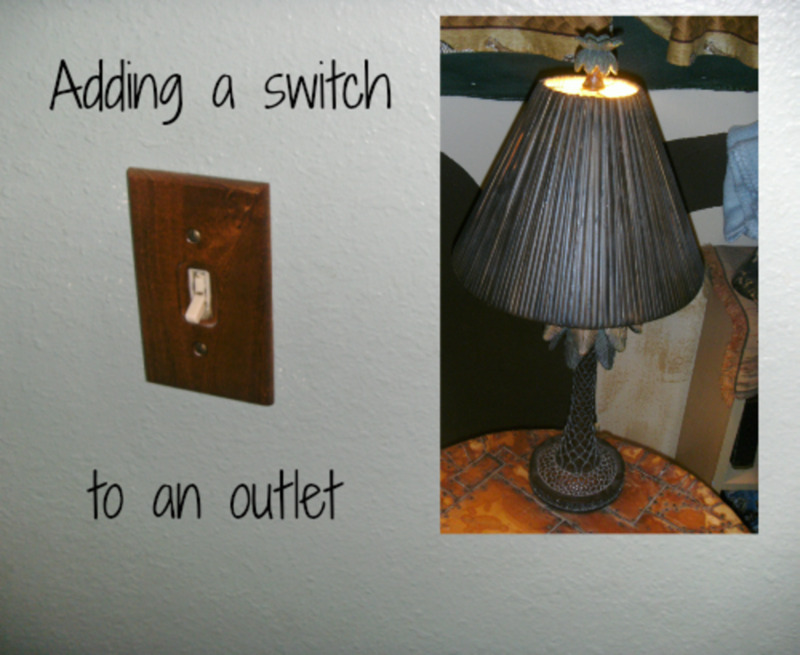 Use the 6" piece to terminate on the outlet. 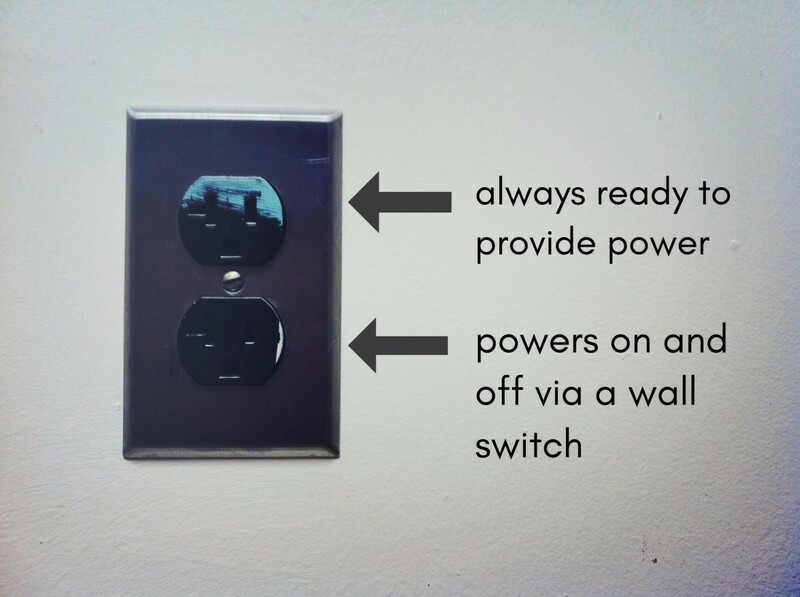 The outlet will actually have two sets of connection points, with the one for the "load", or downstream, wires and one for the "line" wires - those that are coming from the panel or upstream outlets. 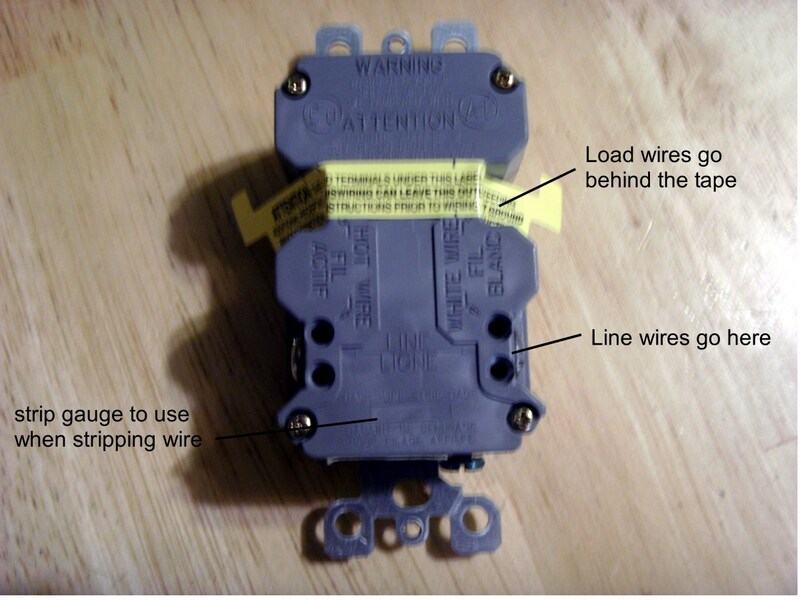 The load connections generally have a piece of tape over them from the factory, but are also plainly marked on the back of the outlet. Insert the black wire into the hole near the brass colored screw and tighten the screw. 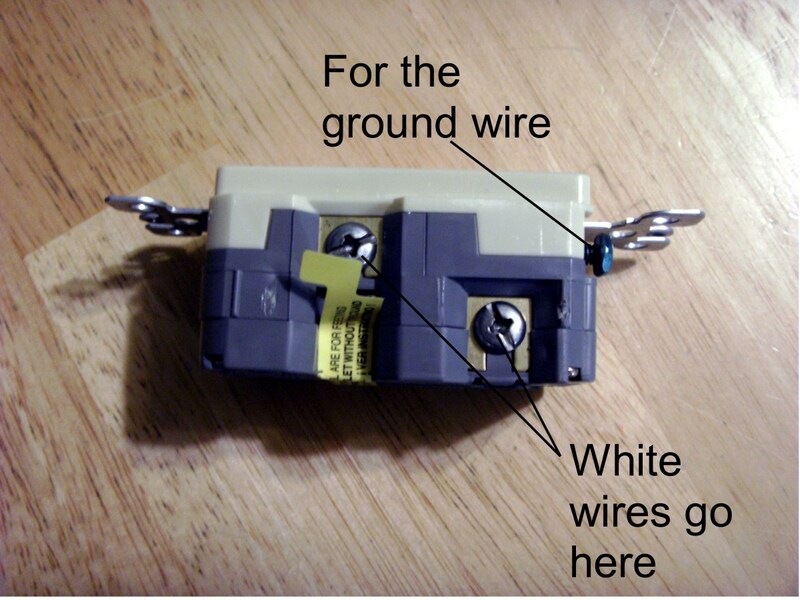 The white wire goes into the hole near the silver colored screw and the ground wire goes to the green screw, usually at one end rather than the side of the outlet. 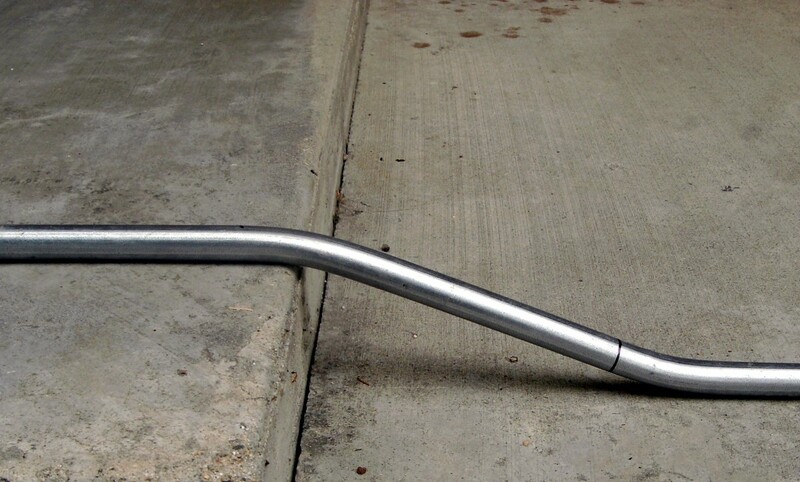 The ground screw will often need to be bent into a loop to fit around the screw before tightening it. Remove the tape if you will have load side wires to downstream outlets and repeat the process, this time with only black and white wires; there is only one spot to terminate the grounds. Fold excess wire into the electrical box as neatly as possible, push the outlet in and attache it to the box with the screws provided. 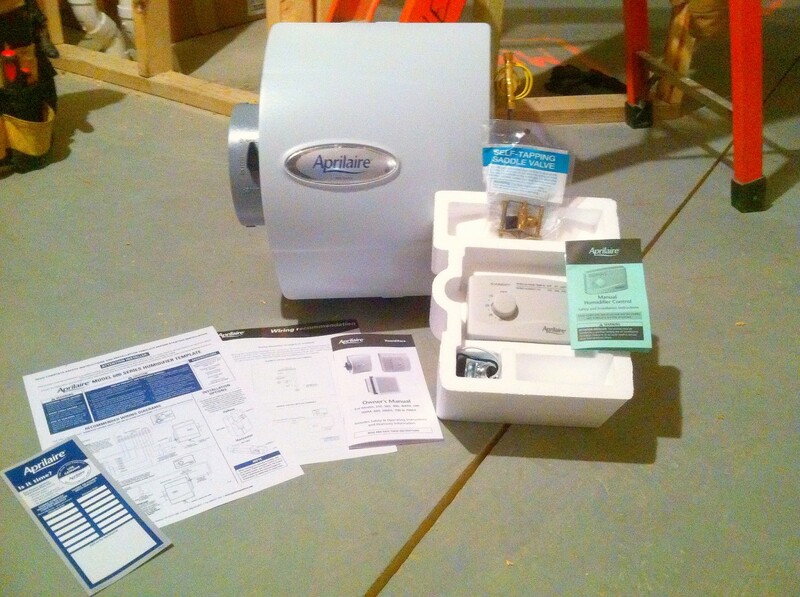 Attach the cover plate, turn the power on and reset the outlet with the push button on the front. Test the outlet with a either GFCI outlet tester (preferable) or at least the push buttons on the front of the outlet - you're finished. When you say "load wire," do you mean going downstream to another outlet? Yes. The "load" terminals on a GFCI outlet refer to the wires feeding a downstream outlet. How do I to change from old-style GFI's with pigtail ground wires to the new style? Instead of splicing the ground wire to the pigtail, terminate it at the green ground screw. Can installing a GFCI outlet be done with 4 sets of wires coming into the box? Yes, although so many wires in one box can make it difficult to get the new outlet in as well. GFCI outlets are larger than normal ones, and the space is limited. But if there is sufficient space, splice all the black wires together with a wire nut, including a 6" piece of additional wire. Do the same with the white wires and the ground wires. Use the new "pigtails" to terminate on the screws of the new GFCI outlet. How do I deal with an older home with two conductor/wire outlets for an outside wall plug servicing the patio? 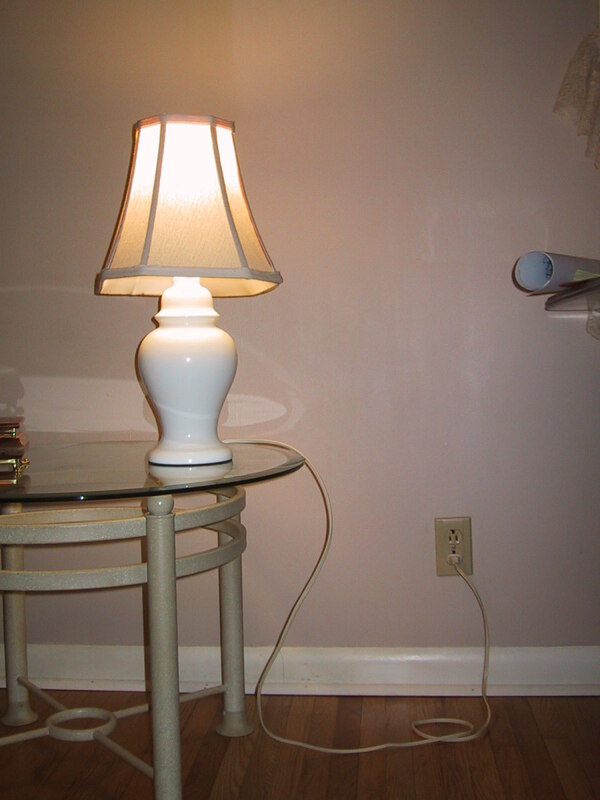 You may add an outlet to two-wire systems, but it must always be a GFCI. As there is no ground you will not ground the new GFCI: there is a sticker in the package (or should be) that notifies future people that the outlet is ungrounded. That is correct. A GFI can protect multiple outlets, but it cannot be used to provide for multiple GFI's. They simply won't work. It is possible that one of our GFI's is wired incorrectly in an effort to provide protection for other GFI's downstream, but that's unlikely unless it has been tripping since it was installed. Most likely one or more of them is simply going bad and needs replacement. Replace the one that is tripping, once you have verified that the load that is tripping it is not defective. To test that, plug that load into a different GFI and see if IT trips as well - if it does, whatever you are plugging in is defective in some manner. I would add here than things with a motor in them (freezer, for instance) will often trip a GFI; it's why such normal outlets are sometimes used even where a GFI would otherwise be indicated. the one that is tripping or do I have another problem? 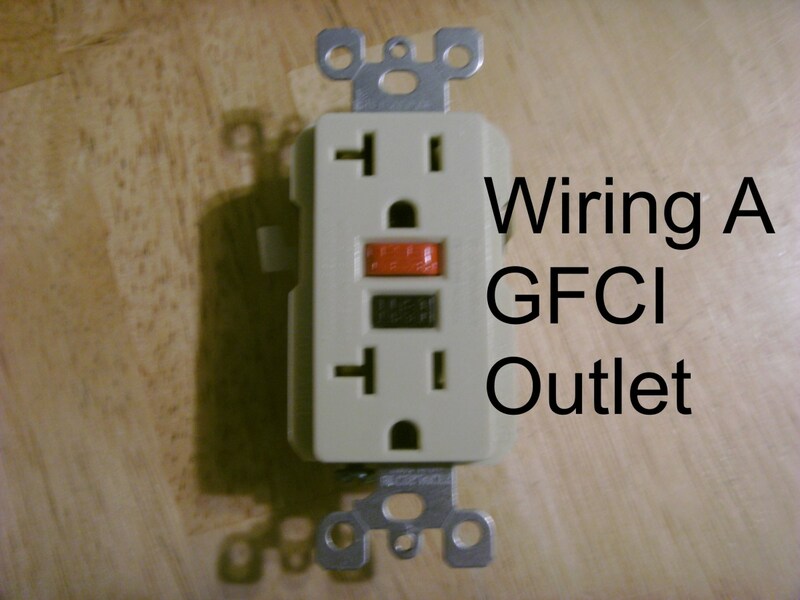 You cannot wire outlets so that one GFCI protects another GFCI down the line. The second one won't work. This means that the second and third outlets, that you wish to change from GFCI to regular, are NOT being protected by the first one and if you change them there will be no protection at all on them. they are protected by the one in the garage? @Mike: Instructions are given in the article on how to add additional outlets either protected or not. Briefly, splice into the wires feeding the GFCI if you do NOT want protection downstream, use the "load" terminals if you DO want the others protected. I need to learn some basics at home - I know so many women who understand how to do these things, and I am totally not able to do them! Thanks for the lesson here! Voted up and up! Have fun, Wesman - I hate putting outlets into stone work. Few masons will provide a smooth surface for the cover plate so it usually ends up looking awful. Then, too, digging ditches in 25 degree weather, maybe while snowing, isn't my idea of fun either! I'll be putting some of those in today. A fairly wealthy guy had his back porch extended, and an outdoor kitchen put in....nice stone work surrounded the electrical boxes...and the sinks are mounted on top. Thanks, Jellygator. Yes, it could be valuable information to a new homeowner. Added this to my real estate website.